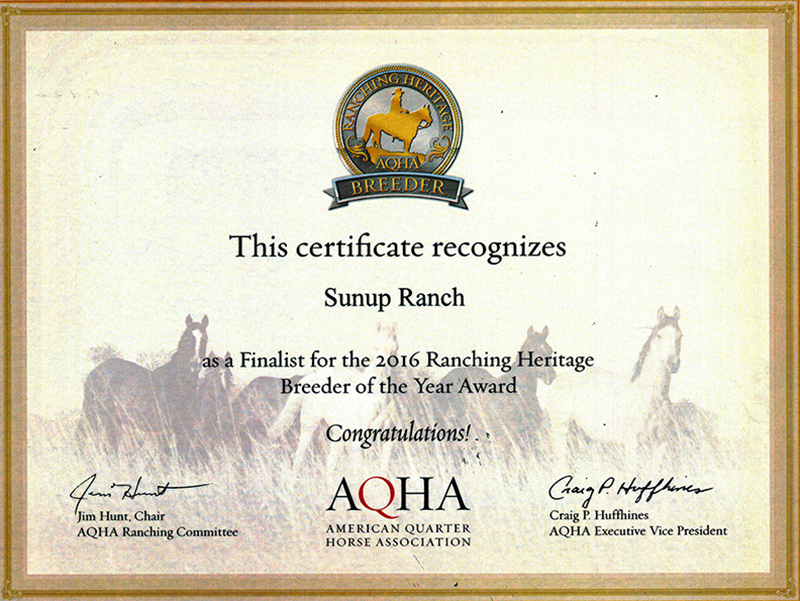 We are very proud of Sunups Tyree, 2013 AQHA stallion owned by Crow Bar Ranch and Sunup Ranch. 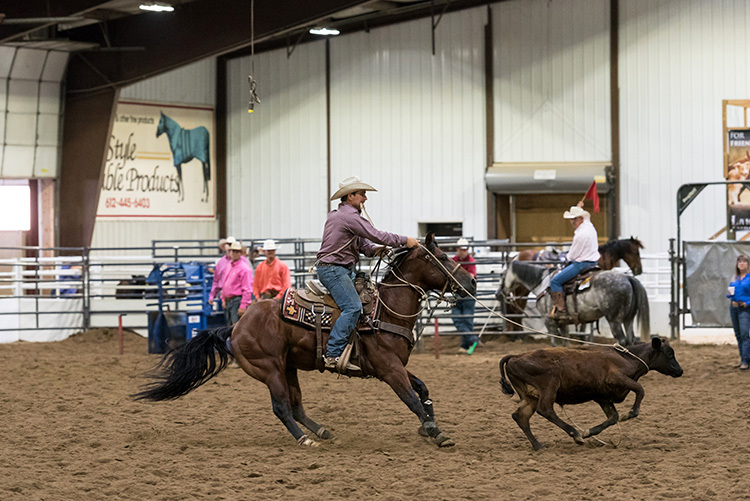 "Paul" is shown here qualifying for the 2018 AQHA World Show in Open Tie-Down Roping. Thank you to trainer and exhibitor Cody Marx. Paul was part of the Sunup Colt Challenge in 2015 with Ronja Fillies. We've Honed Seven Decades of Proven Performers. 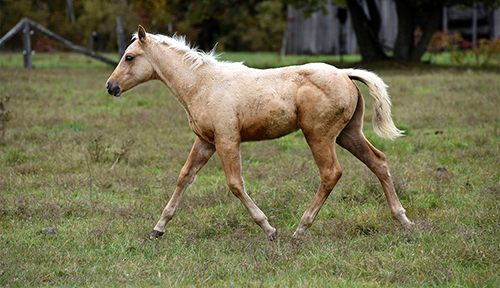 Now It's Your Turn to Own a Sunup-Bred, Versatile Quarter Horse. All are eligible for AQHA's Ranching Heritage Challenge. 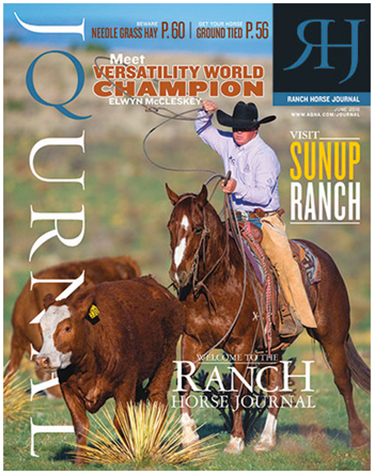 Sunup Ranch is proud to be featured in AQHA's Ranch Horse Journal. Click on the cover photo above to go to the online edition, which includes a video link. We are now offering started, ranch-raised horses like Charms Whim, pictured above, a beautiful young mare by Sunups Starwatch. Watch Tyree Two (Watch Joe Jack x Ima Tyree), through his offspring, will continue to influence Sunup's breeding program. 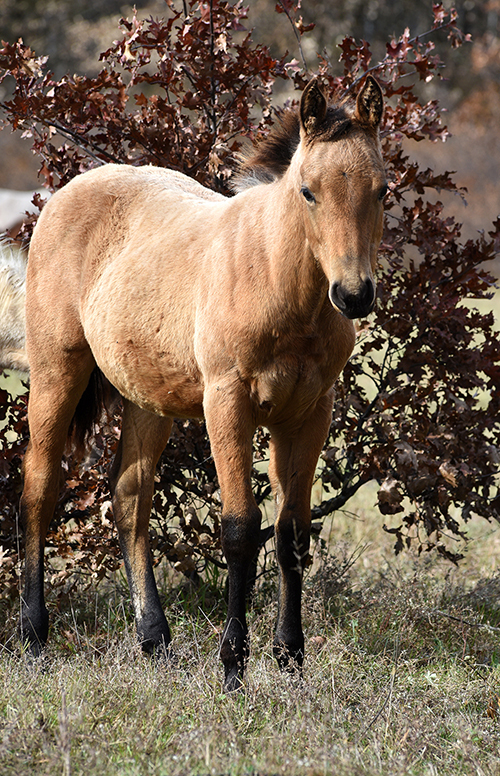 Tyree produced consistently outstanding foals over the past three decades. Some were World Show Qualifiers, Minnesota Champions, and Regional Champions, but most of them have been good using horses, companions, and lifelong mounts for their owners. Tyree was among the finest stallions we ever purchased from the Pitzer Ranch, and it was thrilling to get this last Watch Joe Jack foal from the great mare Ima Tyree. He had what we looked for in a Quarter Horse sire. You could always see his characteristics in his foals -- they were chiseled and classy. Tyree had a lot of personality, and he was one of the smartest horses we have owned. 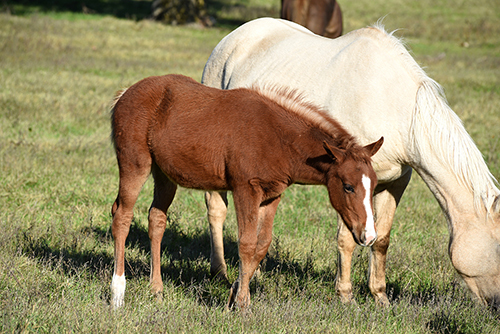 Read more about how Sunup Ranch's foundation bloodlines have brought us to the future. 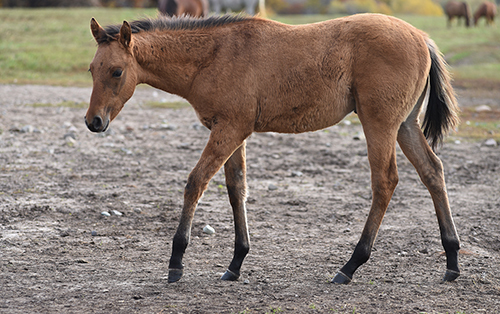 Click Here to read Larry Thornton's "Sunup Ranch, Part II: Evolution of a Breeding Program" in The Working Horse magazine. Missed Part I? Click Here. True Ranch. True Grit. True Horses. We currenlty have prospects with endless potential and enduring pedigrees. To take our latest Sunup video tour, click here. In 1952 George Paul was bought as a weanling, sight-unseen, from the Nicholson Ranch in Oklahoma. He was bought on a dream. He was a son of Bert and out of the mare N.R. Jacci X Star Deck X Oklahoma Star. N.R. Jacci's dam was N.R. Queen X Bert. Bert was a son of Tommy Clegg. Little did we know how much George would mean to Sunup's breeding program. He truly put us in the business. He had great speed and agility, traits from his sire, plus he had a lot of type, with muscle expression, heart girth and symmetry. He sired horses with great versatility, conformation and kind dispositions. 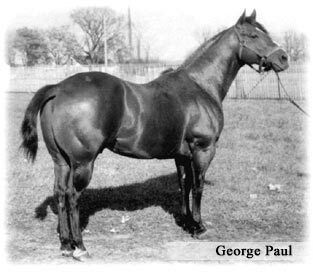 Today, most of our mares carry George Paul in their pedigrees. He sired multiple AQHA champions; multiple ROMs; multiple APHA champions; multiple Futurity winners; multiple Get of Sire wins; Halter & Perf. pt.-earners; NCHA COA and money-earners. In the January 2006 Quarter Horse Journal you'll find George Paul listed as the grand-sire of Beau Bonanza, the 15th All-time leading open halter point-earning stallion. 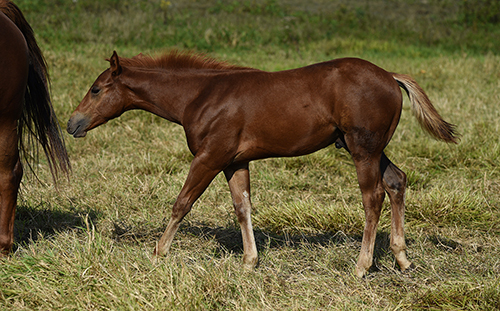 2017 & 2018 SUNUP FOALS ARE NOW AVAILABLE! from our proven breeding program. Visitors are always welcome. We're located just 7 miles west of Brainerd, Minnesota on Minn. Highway 210, and one mile north on Cass County 18 (Pine Beach Drive). Photos and videos are available for long-distance buyers. We specialize in matching horses with customers, whether they're purchasing their first horse or their 50th. 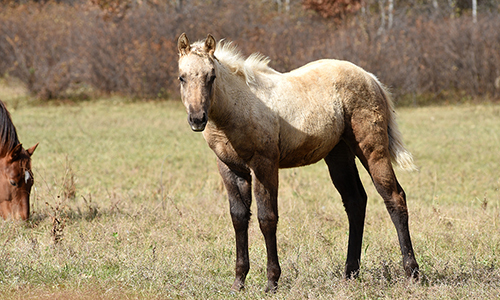 Sunup Ranch horses have found homes in almost every state, Canada, England, Switzerland, Germany, Norway and Italy. We now accept Visa, Mastercard and Discover for your horse purchase or stallion fee. 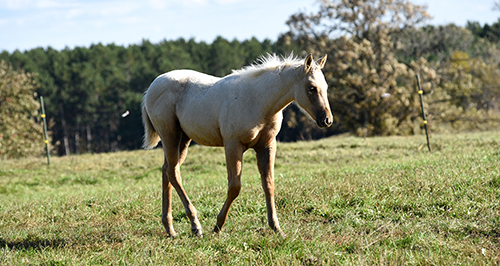 So if you're looking for that special halter prospect, or your next performance horse, look to Sunup Ranch.